If you ignore your pain it won’t always go away. Sometimes it will make things much worse. Did your son, daughter in law, spouse or bowling buddies just remind you of that last week? Well, they are not wrong. Reuters Medical reported in December of last year on a British Geriatric Society study titled A Longitudinal Study of Knee Pain in Older Men. The Journal reports” chronic knee pain is still considered a fairly benign disease by many, an ‘unavoidable’ consequence of ageing. This passive acceptance may be unnecessarily exposing older people to disability and serious co-morbidity (source: http://ageing.oxfordjournals.org/content/early/2013/12/05/ageing.aft188.abstract?sid=767c8821-4b55-46b5-839f-79d45be14e1e) The lead author of this project, Marlene Franzen, is an associate professor of physiotherapy at the University of Sydney in Australia. 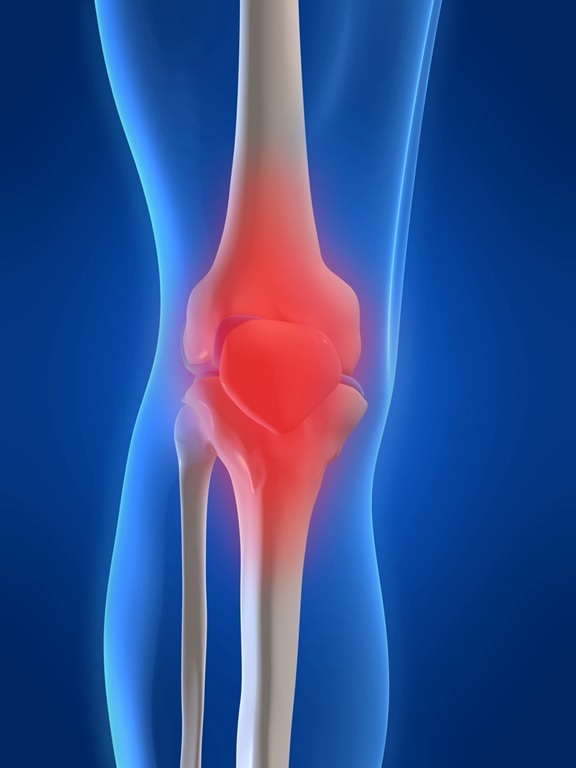 “Chronic knee pain is not a ‘benign’ disease,” she told Reuters Health. “It does lead to a greatly increased risk of falls and developing mobility disability, and therefore increased risk of early mortality.” Her team’s conclusion: … patients should see their doctors for an effective and safe pain management strategy, and a physiotherapist for a recommended physical activity program … (http://uk.reuters.com/article/2013/12/20/us-knee-pain-idUKBRE9BJ0XT20131220) The Physiatrists at Michigan Spine and Pain could not agree with her more. If you are a current patient of ours and knee pain develops as a new condition it is important to let your care team know details like onset, duration and severity of your symptoms. If knee pain is an on-going issue and something about your condition changes we can help you address the issue before pain begins to limit your everyday activities or mobility. When you are experiencing chronic pain it can be helpful to have a supportive community. Sometimes you friends and family lack the answers you need in your search to understand and conquer your pain. There are some really great resources on-line that we want to make sure you are aware of. While not everything on the web is vetted by our medical leadership team and we always will encourage you to communicate with your doctors in person, here are some web-based resources, presented as both educational videos and written resources, that you might find insightful and informative. You are not alone in your journey with pain management. www.painresearchforum.org is the web address for the Pain Research Forum. Primarily targeted to researchers and practitioners in the fields of clinical pain medication and research and development, this web site is open to the public for those individually interested in understanding some of the scientific and academic conversations occurring amongst pain management professionals. Don’t let article titles like “Blockade of Toll-Like Receptor 4 Attenuates Morphine Tolerance…” or “Hyperexcitable C nociceptors in fibromyalgia.” Throw you off. This web site offers engaging and intellectually stimulating research-based analysis form leading experts in the very specialized community of pain medicine. Finally, www.pain-topics.org offers a deep variety of resources, reports, event announcements and treatment option information in a user friendly format. Does the Fear of Pain Slow You Down? Have you ever heard of the Tampa Scale for Kinesiophobia? Has anyone on your pain recovery healthcare team asked you to evaluate these statements at an office visit? Chances are that the health care professional who presented these statements to you were utilizing a 17 question scale known as the Tampa Scale for Kinesiophobia which was developed to measure an individual patient’s fear of movement related to chronic lower back pain. Over the past month, we have shared with you a few of the most interesting topics and conversation emerging in the world of pain management. The September 2013 gathering of the American Academy of Pain Management (AAPM) allowed for discussion of a variety of topics with some of the most prominent research, development and clinical care professionals in our field. Hurray for Summer! School’s out and the daily grind of books, backpacks, academic schedules and endless extracurricular commitments is on hold for a precious few warm and sunny weeks. Those of us with kids or grandkids in our lives are probably just enjoying the first weeks of vacation. Chances are that very few of us are thinking about back-to-school just yet. You can be sure that retailers are, though! Before you can blink twice, sales, specials and daily deals for every essential item a kid needs in his or her backpack will be everywhere. These items add up. In cost, of course, but also in a more literal sense – the weight of all these items really does add up! The heavy backpacks that our kids lug to school every day can be painful and possibly lead to chronic lower back and or neck/cervical injuries. Kids shouldn’t carry more than 10 to 15 percent of their weight over their shoulders and on their backs according to Dr. Marvin T. Arnsdorff, co-founder of the Backpack Safety American. (www.backpacksafe.com) This means that your 60 pound 4th grader son should not have more than six to eight pounds in his backpack. An article featured on the website www.about.com has a “backpack weight calculator” function that is worth checking out. When you are experiencing chronic pain, no matter the source or the cause, there is nothing you want more then to find relief. Chronic pain, including neuropathic pain stemming from degenerative disk disease, osteoarthritis, rheumatoid arthritis, repetitive stress injuries and isolated accident-related injuries are a burden to the daily lives of our patients. When the pain decreases, the healing can begin. Pharmacological pain management, including medications like ibuprofen based anti-inflammatories or epidural steroid injections are just part of a valuable set of tools we use today to get you back on your feet.